Red Tiger offer an exciting range of boutique yoga wear. 100% Australian made and designed on the beautiful Sunshine Coast in Australia. Find a stylish and colorful collection of leggings, capris, one pieces, tanks, tops and bottoms. International shipping available. Red Tiger doesn't have any coupons or deals at this time! 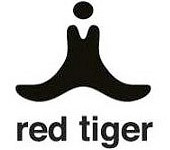 Do you love Red Tiger?